Did you know that School and Community Groups make an average of $1997 from a group sale? It is also a great way to connect with your community, and do your bit to find new homes for heaps of stuff and keep it out of landfill. By hosting your sale with Garage Sale Trail, you'll get your own webpage to promote your sale online, as well as a sellers dashboard which can be used to invite and manage stallholders in the lead-up to your sale. We've put together this handy step-by-step guide to hosting your own group sale. 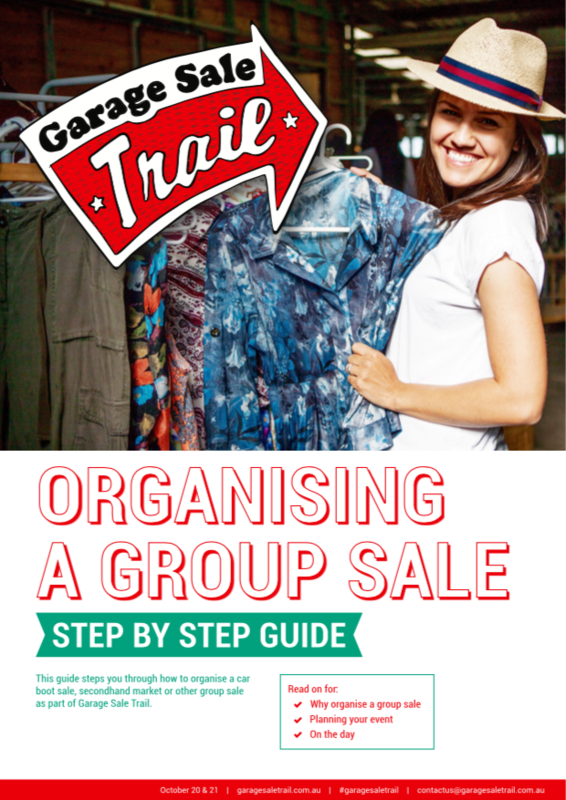 To register your group sale, go to www.garagesaletrail.com.au/register. Need more help? Get in touch at contactus@garagesaletrail.com.au.